UR Medicine Orthopaedics and Rehabilitation, the Department of Physical Medicine & Rehabilitation, and the Department of Neurology have joined together to deliver the latest in medical and surgical care to prevent, evaluate, treat, and rehabilitate injuries, including sports-related concussions and mild traumatic brain injuries. Our Sports Concussion Program physicians provide care for both recreational and competitive athletes of all ages, as well as for individuals with active jobs who may also suffer athletic-like injuries. The most prompt and effective care and customized, return-to-play treatment plans. Nearly 40 subspecialists with expertise spanning every area of orthopaedics and neurosurgery. Most of our specialists have completed extensive fellowships in their respective areas. High-quality care provided by the largest, most comprehensive medical practice dedicated to sports medicine in the Rochester, New York nine-county region. Physician assistants, physical therapists, and athletic trainers who have completed extensive training in the management of the full array of orthopaedic conditions, as well as the treatment of concussions. All critical resources for treatment and aftercare of sports injuries, available at four convenient locations in Clinton Crossing in Brighton, Strong West in Brockport, Platinum Office in Penfield, and South Point Landing in Greece. The University Sports Medicine Athletic trainers work closely with high schools and colleges in the area to provide immediate care for sports injuries during practices or games. They also triage concussions and work collaboratively with URMC physicians to coordinate care on behalf of the athletes. 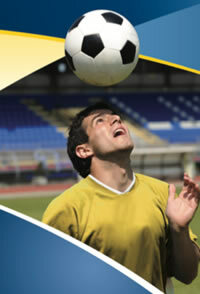 Our physicians are also the official team doctors for our local professional teams. We offer special services that allow for consultation with our physicians any day at any hour—and our treatment schedules are designed to accommodate in-season competitive athletes on an urgent basis.